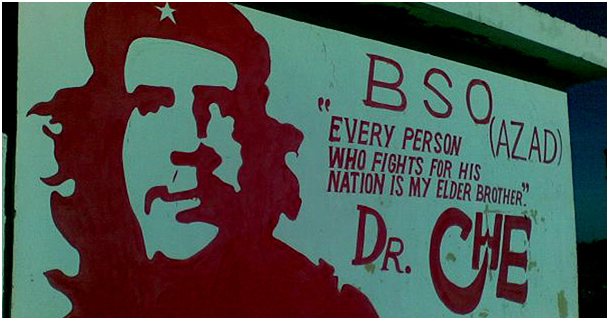 The Baloch Students Organisation, or BSO, has earned itself national recognition in recent months. However, many outside of Balochistan hardly know either its history or various factions and their respective affiliations. 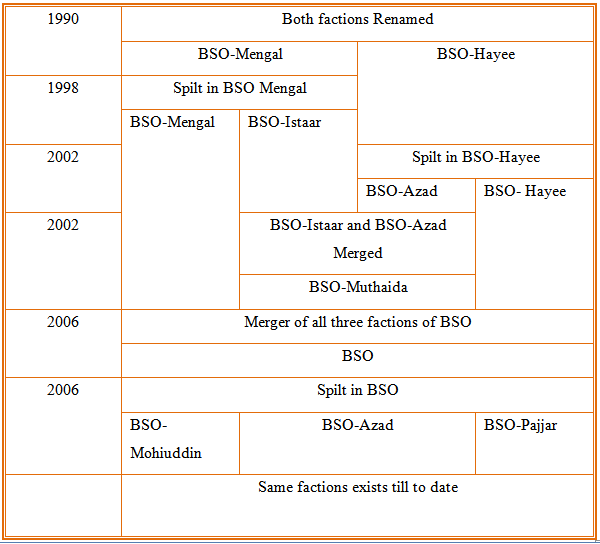 Below is an attempt to trace BSO’s roots and map its various factions. BSO led by Abdul Hayee Baloch, on the other hand, became a supporter of the National Awami Party (NAP) and informally came to be called BSO-NAP. (NAP in Balochistan was dominated by Sardars and thus the opposing faction named itself BSO-Anti Sardar.) BSO was also given due importance by NAP, which consulted it before every major decision. BSO president Abdul Hayee Baloch contested the national assembly elections of 1970 on a NAP ticket, defeating Prince Yahya Baloch in the process. (10) BSO, for its part, actively campaigned for NAP in the elections and played a part in NAP’s victory in Balochistan. 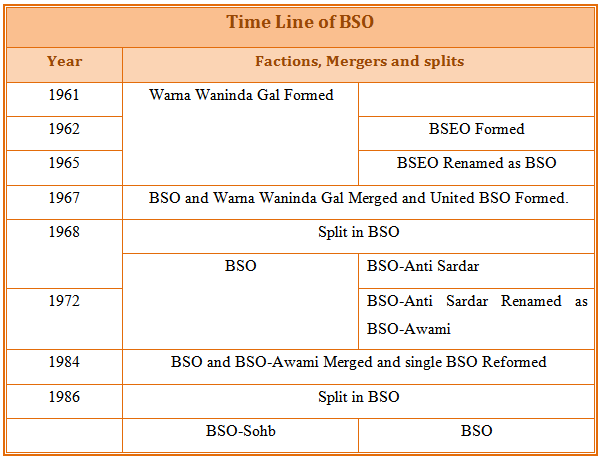 Given this situation, and in view of Hameed Baloch’s will, the two BSO factions decided to unite and a single BSO once again came into being in 1984. However, this was a doomed exercise right from the beginning, with former differences continuing to fester. The attempt at unity, therefore, failed and in 1986 the two factions separated once again, this time splitting into BSO, led by Dr. Yaseen Baloch, and BSO-Sohb—led by Dr. Kahwar Baloch. This was a terrible phase in history of BSO as members of these two factions violently attacked each other in campuses and hostels. (16) This violent aftermath only seemed to prove that the BSO was damaging the Baloch nation rather than doing anything constructive for it. A cursory glance at the history of BSO shows that it has never been truly united since its inception in 1967. The reasons for its often-acrimonious breakups can be attributed to the selfish attitude of BSO leaders, the interference of Baloch political parties, manipulation by the federal government and the tribal culture of Balochistan, which does not easily tolerate dissent. The undemocratic attitude of its leaders is also to blame—they have tried to remain leaders while avoiding internal elections. This ultimately frustrates junior members and they break away at some point. If the leaders of BSO had shown political maturity in 1968 and first breakup had been averted, then perhaps the history of BSO would have been different. In 2006 the military operation was in full swing and under such circumstances break up of BSO was nothing short of a disaster. Now 47 years since its formation it cannot unequivocally be said that the contribution of BSO to Baloch society has been entirely positive. Rather its failure to stay united means that its potential as a student organization has been largely frittered away. 8. Interview with Ex-Office bearer of BSO. 18. Interview with Ex-Office bearer of BSO. 24. Interview with Ex-Office bearer of BSO.